I have decided to do a video card tutorial. This is my first attempt so be kind please! LOL! My Bestie Carol bought this beautiful peg stamp set for me ages ago and I am finally getting around to testing it out! I have made a video to show you how I stamped and put this card together. Make sure you watch the video…. there is a surprise at the end! Trust me… you will like it!!! Thanks so much for stopping by and have a great evening! will have to drag out my peg stamps..
A star is born! Very good Lisa, it was instructional as well as informative. I have been looking at those type of stamps for awhile; glad to see them in action. I really enjoyed this Video. You did excellent Lisa for your first one! 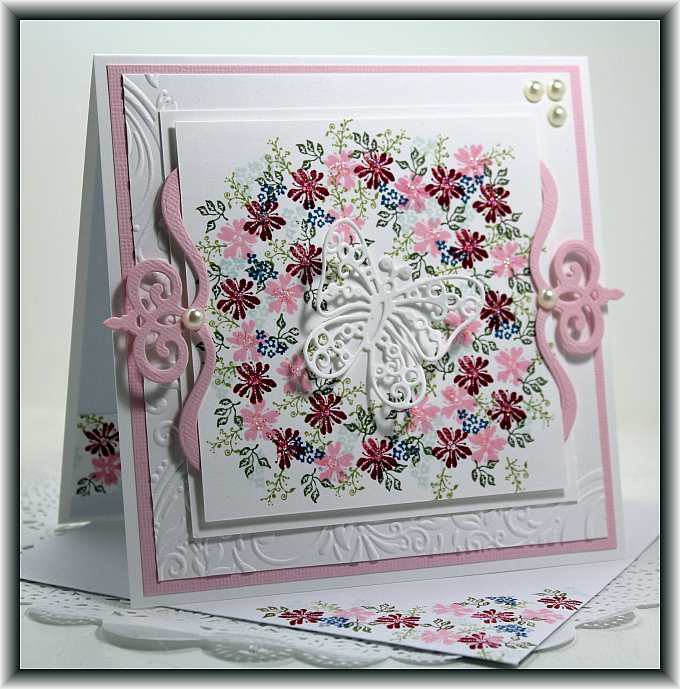 The handcrafted card is GORGEOUS and you handled it with ease. I know just the stamp set that would be perfect for this. Loved the color combinations. The envelope is also very pretty. Simply elegant. Beautiful card Lisa! You did an awesome job on your lst video. You covered all the necessary details from start to finish…who would have thought this was your first! You seemed so comfortable doing it. 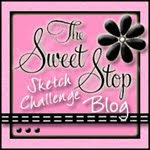 Once again Lisa, thanks for sharing your talents with us, you are certainly one “Crafty Lady”! Beautiful card Lisa, and a great job on your first video. Thanks for sharing your talents with us. You are a pro Lisa! Love those peg stamps! Beautiful card….as always! Hope to see more videos! I was thinking about doing videos myself, but I don’t think I’m there yet! Great job! Lisa, I agree with the other comments, you are a natural. Love the card, as always. Hope you make more videos. Great video you are a pro. Love,love the card. More please.Thanks for sharing….. Fantastic video, Lisa! You seem a Natural at both card making AND at performing videos. I have a set of peg stamps from the past (probably 7 years since used. I will get them out and start a card this morning. Thanks for the inspiration, and God bless! Fancy Nancy. Great job Lisa, love the card. Your instructions were great. Thanks. Hi Lisa, you have done a fantastic job on the video and I hope you do many more. Lovely card too!!! Great job on the video! Loved the stamping technique! The card and envelope are beautiful! Thanks Lisa for your first video tutorial. Great job – inspirational. Loved that you awesomely decorated the envelope and inside of card too. I enjoyed your video and great job on the card. Loved how you weren’t screaming and rambling like some of others videos. Good for you!